This week's Daily Record column is entitled "Legal Technology—A Vision of the Future." I’m pleased to report that my third grader’s teacher is very tech savvy. He sends out frequent emails with links to a classroom website that updates parents about our children’s activities. He uploads pictures of the kids, images of projects and sometimes provides links to useful online content. Last week he emailed parents a link to a fascinating video that his students watched in class: A Day Made of Glass—Made Possible by Corning. You can view the video here: http://www.youtube.com/watch?v=6Cf7IL_eZ38. In it, you’ll find Corning’s unique and intriguing vision of the not-too-distant future made possible by their specialty glass interfaces. Using various specialty glass surfaces, users interact with computer programs and data by touching and manipulating large glass interfaces, imbedded in tables, counters, kitchen appliances, or screens on walls. When laid upon the receptive glass surfaces, handheld devices similar to iPhones seamlessly connect with with the glass interface, transferring the phone’s data and allowing the user to interact with it on the larger surface. In other words, Corning’s glass essentially turns the surfaces into large touch screen tablets. It’s an amazing view of the future, reminiscent of the mind-blowing technology seen in the movie “Minority Report,” where characters interface with holographic touch screen computers. The timing of the email linking to this video was very apropos for me since I’ll have the opportunity to work with very similar technology later this week during a usability test of an eDiscovery platform at Xerox. Study participants will be compensated by Xerox for their time spent interacting with and testing the software called Smart Document Review Technology. Currently the technology is still in the testing phase, but will be available to the public in the near future. In other words, I get to interact with a futuristic technology that, nearly a decade ago when “Minority Report” was released, seemed would never be attainable during my lifetime. A video of the technology in action can be viewed here: http://news.xerox.com/pr/xerox/srp-viewclip.aspx?id=122365. Both Xerox’s Smart Document Review platform and Corning’s vision of the near future using its glass interfaces are prime examples of the massive technological shift that is underway. We now have touch screen tablets and smart phones that respond to voice commands with amazing accuracy. We’re able to connect with people across the globe for free, with just the touch of a button. Soon, large touch screen interfaces will be ubiquitous, offering us instantaneous access to vast amounts of information from virtually anywhere, allowing us to work and communicate no matter where we are. Technology is already impacting every aspect of our lives and will continue to do so at a record breaking pace. It will be more pervasive and invasive as each year passes. It’s a future that is both exciting, disturbing—and, in my opinion, inescapable. 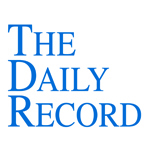 This week's Daily Record column is entitled "Cloud Computing and the Encryption Red Herring." Recently, I’ve encountered a number of people who claim that the only way lawyers can responsibly use cloud computing services in their law practice is if all files are encrypted before sending them to the cloud. This claim is based on the fear that employees of the cloud computing provider will have access to the law firm’s unencrypted data stored on the cloud computing provider’s servers. This blanket assertion is, quite frankly, ridiculous. Lawyers routinely outsource the handling and storage of confidential client data in paper form—from third party document storage warehouses to process servers to delivery services. And, there has never been a requirement to lock the documents in fireproof safes, encode or otherwise encrypt those documents in order to prevent third parties from viewing them. Not to mention that lawyers have been sending confidential client documents and data via unencrypted email for over a decade now. In fact ethics committees in multiple jurisdictions concluded many years ago that, in most cases, attorneys may use unencrypted e-mail without violating their ethical obligation to maintain client confidentiality. See, for example, N.Y. State 709 (1998), State of Maine Ethics Opinion #195 (2008), American Bar Association Formal Opinion No. 99-413, Ohio Ethics Opinion No. 99-2 (April 9, 1999), Hawaii Ethics Opinion No. 40 (April 26, 2001), Utah Ethics Opinion No. 00-01 (March 9, 2000), Florida Ethics Opinion No. 00-4 (July 15, 2000), Delaware Ethics Opinion No. 2001-2 (2001), and Virginia Ethics Opinion No. 1791 (December 22, 2003). Importantly, just last fall, in N.Y. Ethics Op. 842, the New York State Bar Association’s Committee on Professional Ethics concluded that it is permissible for attorneys to store confidential client data in the cloud, as long as reasonable steps are taken to ensure the data would be adequately protected from unauthorized disclosure. Nowhere to be found in the opinion is the requirement that all documents be encrypted. Of course, that doesn’t mean that attorneys should carte blanche store any and all client data in the cloud. Some attorneys may choose to utilize the cloud for back up storage by uploading only non-confidential data into the cloud, including legal forms, administrative forms, redacted memos of law for future reference, and excerpts from legal research. Others may choose to choose to test the cloud computing waters by using cloud computing services for tasks that don’t require the input of confidential information, such as billing or time tracking. Still other attorneys may choose to store unencrypted, confidential client data in the cloud, but only after exercising due diligence, asking the appropriate questions of cloud computing providers (which I’ve discussed more in depth in previous columns) and ensuring that the provider’s responses are sufficient to ensure that confidential client information will be reasonably protected from unintended disclosure. Finally, other attorneys may choose to store only encrypted data in the cloud or forego cloud computing altogether. This determination may revolve around the ethics rules of the jurisdiction in which the attorney practices and the types of data at issue. Some attorneys may conclude, after assessing their practice areas and the types of clients that the represent, that their clients’ data is extremely sensitive and that the risk of disclosure by third parties is high. This may occur where the client is a well-known celebrity or the data consists of highly sought after trade secrets. Or, it may be that the attorney is simply uncomfortable with the idea of storing client data in the cloud. 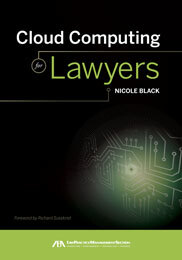 The bottom line is that lawyers can use cloud computing without encrypting the files before storing them in the cloud. That being said, the determination of whether to upload unencrypted client data into the cloud will vary from one law practice to another and is contingent upon the type of data that will be housed in the cloud. This week's Daily Record column is entitled "iPad Apps for Lawyers." If you plan to create content, including documents, spreadsheets, and presentations, you should consider purchasing either QuickOfficeConnect Mobile Suite ($14.99), which allows you to create and edit Microsoft compatible files or Apple’s productivity suite of apps, Pages (word processing), Numbers (Spreadsheet creation) and Keynote (presentation software), each of which costs $9.99. A file management app is another important tool to have on your iPad if you plan to work with a large number of files. Absent a file management app, your files will be segregated inside of different apps. File management apps store all of your files in one place and some also allow PDF annotation. There are a number of apps of this type, but two of the most popular are GoodReader ($2.99) and Readdle Docs ($4.99), both of which, in addition to file management, also provide decent PDF annotation capabilities. Many of the apps mentioned above sync with a number of cloud-based storage options, making it easy for you to access and import into the app documents stored in the cloud. For that reason, and for the sake of convenience, you may want to consider using a cloud-based storage app such as DropBox (free), the online storage option that is most likely to be compatible with most apps. Another option is Box.net, also free. These apps allow you to upload and stores your files in the cloud, so that you can access them anywhere, anytime, and from any type of Internet-enabled device. Another way to access files using your iPad is to remotely access your desktop computer. There are a number of apps that facilitate this process, including LogMeIn Ignition ($29.99), Splashtop Remote Desktop ($4.99), Wyse PocketCloud Pro ($14.99), or Remote Desktop ($5.99). There are also a number of legal-specific apps available that you may want to purchase. If you are a litigator, there are 3 different trial presentation apps: the RLTC Evidence ($9.99), Exhibit A ($4.99) and TrialPad ($89.99). An app that assists with jury selection is also available, Jury Tracker ($9.99). Other legal apps include Lawstack, which includes, among others, the US Constitution, the Federal Rules of Civil and Criminal Procedure, the Federal Rules of Evidence, and certain state codes, including New York (free). LawBox (free) is another app that is very similar to Lawstack. Finally, Fastcase (free) is a legal research app that includes cases and statutes from all 50 states and the federal government. For more information on using your iPad in your law practice, check out the following blogs, in addition to my own: Tablet Legal (www.tabletlegal.com), iPadLawyer (www.ipadlawyer.co.uk), iPad Notebook (www.ipadnotebook.wordpress.com). As I've mentioned before, I recently became involved in a really interesting new project: The Xemplar. It's a new website devoted to innovative solo and small firm attorneys that lead the way and make a postive impact on our profession and their communities. And, feel free to nominate any innovative, exceptional solos or small firms attorneys here. This week's Daily Record column is entitled "Ask an irrelevant question, get an irrelevant answer." The legal blogosphere has been atwitter lately over the results of a survey conducted by the American Bar Association’s Standing Committee on the Delivery of Legal Services. The goal of the survey was to determine how people go about finding a lawyer to handle their personal legal matters. This simple survey resulted in a surprising number of spirited blog posts on a range of different topics. Attorney Carolyn Elefant, at her blog “My Shingle,” was unhappy with a conclusion--reached in the comments at Lexblog between Kevin and Will Hornsby, staff counsel for the ABA—that solos and small firms were somehow to blame for the low standing of blogs in the survey results. Meanwhile, Venkat Balasubramani, a Seattle attorney, expressed his disbelief at his blog, “Spam Notes,” that the survey was conducted using landline phones. And, at his blog “Simple Justice,” Scott Greenfield, a Manhattan-based criminal defense attorney, concluded that if lawyers want to get clients the best way to do so is to focus on becoming a better lawyer. (Bob Ambrogi also offered up his take on the survey at his blog, LawSites, as did Susan Cartier Liebel at Solo Practice Univerity--after I'd submitted this article to my editor). I figured now that the dust had settled I might as well chime in and add my 2 cents on the issue. That being--they asked the wrong question. Respondents were then asked to rank the utility of the following online platforms: A lawyer’s website, an online directory, a website where you can ask lawyers legal questions, a website where people post their problems and lawyers interested in representing them follow up, a website that rates lawyers, blogs, social network sites such as Facebook, Twitter, or Listservs. The choices ranked as most likely to be used were lawyer websites, question and answer websites and lawyer rating websites. Facebook, Twitter, blogs and listservs fared the worst. Of course those were the results. This outcome was predictable and largely predetermined by the poorly framed question. Generally speaking, unless there is a universally well known online vendor such as Amazon, Zappos or eBay, people turn to Google (or other search engines). Most of the time, the sites that appear on the first page of the search results and provide quality information are the sites used by consumers. When consumers search for lawyers, depending on the terms of the search, the results take consumers to any number of websites, including those listed as a response to the ABA’s original question. Consumers then choose whether to call a particular attorney based on the quality of information contained on the site, not based on the type of site providing the information. Whether that’s the best method for choosing an attorney is another question for another day. The stated goal of the survey was to determine the effectiveness of online platforms for client development—something the survey simply did not do. The survey was successful in that it ascertained how people would prefer to go about choosing an attorney using the Internet. Unfortunately, it failed to determine how people actually find lawyers using online tools. And, isn’t that what lawyers who choose to invest their time and money into these tools really need to know?